NEW YORK (AP) — In an effort to rush through thousands of home foreclosures since 2007, financial institutions and their mortgage servicing departments hired hair stylists, Walmart floor workers and people who had worked on assembly lines and installed them in “foreclosure expert” jobs with no formal training, a Florida lawyer says. In depositions released Tuesday, many of those workers testified that they barely knew what a mortgage was. Some couldn’t define the word “affidavit.” Others didn’t know what a complaint was, or even what was meant by personal property. Most troubling, several said they knew they were lying when they signed the foreclosure affidavits and that they agreed with the defense lawyers’ accusations about document fraud. The deposed employees worked for the mortgage service divisions of banks such as Bank of America and JP Morgan Chase, as well as for mortgage servicers like Litton Loan Servicing, a division of Goldman Sachs. Ticktin said he would make the testimony available to state and federal agencies that are investigating financial institutions for allegations of possible mortgage fraud. This comes on the eve of an expected announcement Wednesday from 40 state attorneys general that they will launch a collective probe into the mortgage industry. “This was an industrywide scheme designed to defraud homeowners,” Ticktin said. The depositions paint a surreal picture of foreclosure experts who didn’t understand even the most elementary aspects of the mortgage or foreclosure process — even though they were entrusted as the records custodians of homeowners’ loans. In one deposition taken in Houston, a foreclosure supervisor with Litton Loan couldn’t define basic terms like promissory note, mortgagee, lien, receiver, jurisdiction, circuit court, plaintiff’s assignor or defendant. She testified that she didn’t know why a spouse might claim interest in a property, what the required conditions were for a bank to foreclose or who the holder of the mortgage note was. “I don’t know the ins and outs of the loan, I just sign documents,” she said at one point. Until now, only a handful of depositions from robo-signers have come to light. But the sheer volume of the new depositions will make it more difficult for financial institutions to argue that robo-signing was an aberrant practice in a handful of rogue back offices. False Statements| Bank of America, Florida Default Law Group, Law Offices of David Stern, Lender Processing Services, Litton Loan Servicing, Cheryl Samons, Security Connections, Inc.
On October 8, 2010, Bank of America announced it was extending its suspension of foreclosures to all 50 states. A review of the documents used by Bank of America to foreclose readily shows why this was the only appropriate action for Bank of America. In thousands of cases, Bank of America has used Mortgage Assignments specially prepared just for foreclosure litigation. On these assignments, the identity of the mortgage company officer assigning the mortgage to BOA is wrongly stated. Who has signed most frequently as mortgage officers on mortgage assignments used by BOA to foreclose? Regular signers include the “robo-signers” from Lender Processing Services in both Alpharetta, Georgia and Mendota Heights, Minnesota. LPS employees Liquenda Allotey, Greg Allen, John Cody and others, using dozens of different corporate titles, sign mortgage assignments stating BOA has acquired certain mortgages. When the mortgages involved originated from First Franklin Bank, BOA used Security Connections, Inc. in Idaho Falls, Idaho. Employees Melissa Hively, Vicki Sorg and Krystal Hall also signed for many different corporations for BOA. Litton Loan Servicing in Houston, Texas, a company owned by Goldman Sachs, also produced documents as needed by BOA, usually signed by Denise Bailey, Diane Dixon or Marti Noriega signing as officers of at least a dozen different mortgage companies and banks. BOA also has used mortgage assignments signed by Cheryl Samons, the office administrator for the Law Offices of David Stern, who has admitted to signing thousands of mortgage documents each month with no actual knowledge of the contents. On other cases, employees of the law firm Florida Default Law Group have signed for BOA, using various titles, including claiming to be Vice Presidents of Wells Fargo Bank, all while failing to disclose they actually worked for Florida Default. in most of these cases, BOA is acting as Trustee for residential mortgage-backed securitized trusts. These trusts are claiming to have acquired the mortgages in 2009 and 2010, even though the trusts deadline for acquiring mortgages was often in 2006 and 2007. In hundreds of cases, the mortgage assignments presented by BOA are actually signed months AFTER the foreclosure actions were commenced. At least 50 trusts using BOA as Trustee are involved in using these fraudulent documents. Each trust has between $1.5 billion and $2 billion of mortgages. The BOA documents have been used in thousands of cases, pending and completed, for at least three years. This massive problem cannot be “fixed” in 90 days, but a nationwide suspension of foreclosures is a good, responsible beginning. This is Rep. Alan Grayson explaining the crisis of foreclosure fraud and how it links to the entire securitization chain of Wall Street. This is what made plenty of noise! This is the actual “BOGUS ASSIGNEE” that was found…then came many. SAN FRANCISCO (Reuters) – An outcry over questionable foreclosures by GMAC Mortgage and other lenders is likely to hit some states more than others because of major differences in real estate law across the nation. But ramifications for federal taxpayers and investors will depend on the costs of clearing up the problem, the latest fallout from the bursting of the U.S. real estate bubble. GMAC Mortgage announced last week that it had suspended evictions and post-foreclosure closings in 23 states due to concerns over paperwork. In order for a lender to foreclose on a property, it must prove that it actually checked the borrower’s loan agreements, and that the homeowner defaulted. But the unit of Ally Financial, which is 56.3 percent owned by the U.S. government after a $17 billion bailout, said employees preparing foreclosures had submitted affidavits to judges containing information they did not personally verify. “It’s a real mess,” said Justice Arthur Schack, a jurist on foreclosure issues who sits on the New York State Supreme Court in Brooklyn. GMAC’s announcement has raised doubts about whether some people lost their homes without good reason. Attorneys general in several states, including California, Colorado, Illinois and Ohio, are investigating. “The law demands that lenders prove their case in foreclosure actions,” Illinois Attorney General Lisa Madigan said last week. But Ally characterizes the problem as merely technical, arguing that the underlying facts in each foreclosure are accurate. “We are confident that the processing errors did not result in any inappropriate foreclosures,” it said in a statement last week. GMAC landed in its predicament after one of its employees testified in a December 2009 deposition that he signed off on tens of thousands of affidavits containing information he did not verify. Ally isn’t the only firm under the microscope. JPMorgan Chase & Co is delaying its current foreclosure proceedings and has begun to systematically re-examine related documents after discovering that some employees may have signed affidavits in some cases without personally reviewing the files. Lawyers in Florida are questioning JPMorgan’s practices after discovering one of its executives did not check the details of its claims against a homeowner. It was a very sad day for Floridians yesterday when the Florida Supreme Court issued a statement that it does not have authority to intercede while a fraud investigation is pending. Although we may not agree with the decision, we must respect procedures that must be followed. Florida, do not quit what you are doing because there are many states that we must continue to focus on. Judges need to put themselves in the homeowners situation and understand we cannot make these fraudulent documents up. These documents are sworn statements, under perjury of law and notarized. As officers of the court they must be held accountable. No ifs, ands, buts or suppose here. These are not errors. Rest assured that The Florida Bar still has many pending investigations with these foreclosure firms and they have authority overseeing the misconduct of their members. I am your voice, America. I share your fears, read your concerns and do try my best to reach out to you. The Florida Constitution and court rules did not give the Chief Justice authority to intercede in pending cases involving attorney misconduct, or to investigate allegations of fraud or misconduct in foreclosure cases. The fraud cases must first beadjudicated in trial courts. Congressman Grayson has asked the Florida Bar to take action. Florida Default Law Group has been added as the fourth law firm under investigation along the Law offices of David J. Stern, Shapiro & Fishman and Law Office of Marshall Watson. FORECLOSURES TO COME TO A HALT IN FLORIDA? WE WROTE THEY READ IT! THIS IS HUGE! Coming in… Florida might halt all Foreclosures…While pending investigation of MILLS! Do what is right and protect these families. This involves children that do not understand what is going on. I lost my home to this fraud and they do not have to go through my stressful experience. You set new rules and these foreclosure mills continued to ignore you. What is it going to take? Supreme Court spokesman Craig Waters said Friday that the court was preparing a response, but did not elaborate. and private lives uphold the dignity and esteem of each. I will further my profession’s devotion to public service and to the public good. improperly permit my silence or inaction to mislead anyone. with dignity, decency, and courtesy. I will respect the time and commitments of others. I will be diligent and punctual in communicating with others and in fulfilling commitments. I will exercise independent judgment and will not be governed by a client’s ill will or deceit. My word is my bond. admission to obey and for the willful violation to which disbarment may be had. This should send a powerful message to each and every Foreclosure Mill out there! You are NEXT! We are disturbed by the increasing reports of predatory ‘foreclosure mills’ in Florida working for Fannie Mae servicers. Foreclosure mills are law firms representing lenders that specialize in speeding up the foreclosure process, often without regard to process, substance, or legal propriety. According to the New York Times, four of these mills are both among the busiest of the firms and are under investigation by the Attorney General of Florida for fraud. The firms have been accused of fabricating or backdating documents, as well as lying to conceal the true owner of a note. Several of the busiest of these mills show up as members of Fannie Mae’s Retained Attorney Network, a set of legal contractors on whom Fannie relies to represent its interests as a note-holder. The network also serves as a pool of legal talent that represents Fannie in its pre-filing mediation program, a program designed to facilitate communication between borrowers and servicers prior to foreclosure. In other words, Fannie Mae seems to specifically delegate its foreclosure avoidance obligations out to lawyers who specialize in kicking people out of their homes. The legal pressure to foreclose at all costs is leading to a situation where servicers are foreclosing on properties on which they do not even own the note. This practice is blessed by a legal system overwhelmed with foreclosure cases and unable to sort out murky legal details, and a set of law firms who mass produce filings to move foreclosures as quickly as possible. At the very least, we would encourage you to remove foreclosure mills under investigation for document fraud from the Fannie Mae’s Retained Attorney Network. We also believe that Fannie should have guidelines allowing servicers to proceed on a foreclosure only when its legal entitlement to foreclose is clearly documented. In addition, these charges raise a number of questions for us about the foreclosure process as it pertains to Fannie Mae’s holdings. Why is Fannie Mae using lawyers that are accused of regularly engaging in fraud to kick people out of their homes? Given that Fannie Mae is at this point a government entity, and it is the policy of the government that foreclosures are a costly situation best avoided if there are any lower cost alternatives, what steps is Fannie Mae taking to avoid the use of foreclosure mills? What additional steps is Fannie Mae going to take to ensure that foreclosures are done only when necessary and only in accordance with recognized law? How do your servicer guidelines take into account the incentives for fraud in the fee structure of foreclosure attorneys and others engage in the foreclosure process? What mechanisms do you employ to monitor legal outsourcing? We look forward to your responses and to understanding more about these disturbing dynamics in future hearings. Be sure to go to the link below to see the fraud I uncovered in the Shapiro’s case mentioned in this PB Post article! Last month, Palm Beach County Senior Judge Roger Colton opened his afternoon foreclosure session by telling homeowners that he’d heard all their stories before, and he would give them a maximum of five months before letting lenders take their homes. In the first case, Judge Colton signed a final summary judgment giving Everhome Mortgage Co. the right to foreclose on a Lake Worth couple’s home despite their attorney’s objections that Everhome had failed to prove that it owns the note. Foreclosure defense lawyers cite the case as an egregious example of Florida’s so-called “rocket docket,” the process of expediting foreclosure cases through the courts by siding with lenders. That was not the intent of state legislators this year when they appropriated $9.6 million to reduce the foreclosure backlog. Though the state has set a goal of reducing the more than 500,000 cases by 62 percent within a year, that goal should be met by handling each case based on its merit and not by watching the clock. That’s particularly important given the fraud perpetrated by lenders – many of which knowingly issued loans to buyers who couldn’t afford them – and their attorneys. Tampa-based Florida Default Law Group has been withdrawing legal affidavits in its GMAC Mortgage foreclosure cases, acknowledging that information it gave to courts may have been inaccurate. The affidavits supposedly attest to the validity of documents submitted to verify that a lender has the right to foreclose. Florida law requires that lenders prove ownership of the note underlying the mortgage. In the case before Judge Colton, attorney Loretta Bangor questioned the validity of affidavits submitted by Everhome’s attorney, a lawyer with Shapiro & Fishman, one of three firms under investigation by the Florida attorney general for “unfair and deceptive actions” in foreclosure cases. Judge Colton, one of two retired judges hired to handle foreclosures under the new state program, did not ask to see the documents. Nor did he question Shapiro & Fishman about the validity of the documents. Click the link below to see the fraud I found in this Shapiro case! Mr. Velez, I am sorry for what the judge did. Jeffrey Stephan, who actually works for GMAC Mortgage Corp. in Montgomery County, PA, signs thousands of Mortgage Assignments each month as an officer of other banks and mortgage companies in order to transfer mortgages TO GMAC. In Florida, the law firms that regularly present documents signed by Jeffrey Stephans as “proof” that GMAC has standing to foreclose include The Law Offices of Marshall Watson, The Law Offices of David Stern and Florida Default Law Group. Stephan has admitted in depositions that he has no personal knowledge of the facts of documents he signs, does not verify the facts, and often does not sign in front of a notary (though the documents are eventually notarized). Vice President, MERS as Nominee for Greenpoint Mortgage Funding, Inc.
FLORIDA DEFAULT LAW GROUP FALSE STATEMENTS by Lynn Szymoniak, ESQ. On September 14, 2010, Florida Default Law Group filed “Notices” in foreclosure actions that the firm was withdrawing Affidavits it had previously filed. The Affidavits were signed by Jeffrey Stephan of GMAC Mortgage/Homecomings Financial in Montgomery County, PA. Stephan had previously admitted in depositions that he signed thousands of such affidavits each month with no knowledge of the contents and in many cases without even bothering to read the Affidavits. In the Notices, Florida Default claimed that “the undersigned law firm was not aware” that the Stephans Affidavits were improper and had a good faith belief in the Stephans Affidavits. Stephans signed so many Affidavits, however, on behalf of so many different securitized trusts, that his lack of actual knowledge should have been obvious. Many other mortgage servicing companies and foreclosure firms have filed thousands of other worthless, unfounded Affidavits. Perhaps the Law Offices of Marshall Watson will notify courts that Lost Note Affidavits signed by Linda Green, Tywanna Thomas and Korell Harp are also improper; perhaps The Law Offices of David Stern will notify Courts that their own office manager, Cheryl Samons, had no knowledge and did not even read the Affidavits she signed. The dark days of the foreclosure “robo-signers” seem to finally be coming to an end in Florida. Will the same judges who accepted thousands of these worthless Affidavits now believe the allegations that the foreclosure law firms acted in good faith when they presented these documents to Courts? An example of the Notice filed by Florida Default is available in the “Pleadings” section of this site. Highlights from the deposition of Jeffrey Stephan are available in the “Articles” section. Scott Anderson, Bryan Bly, Margaret Dalton, Erica Johnson-Seck, Crystal Moore and the other professional signers may finally be held accountable for their sworn false statements. How the federal housing agencies—and some of the biggest bailed-out banks—are helping shady lawyers make millions by pushing families out of their homes. LATE ONE NIGHT IN February 2009, Ariane Ice sat poring over records on the website of Florida’s Palm Beach County. She’d been at it for weeks, forsaking sleep to sift through thousands of legal documents. She and her husband, Tom, an attorney, ran a boutique foreclosure defense firm called Ice Legal. (Slogan: “Your home is your castle. Defend it.”) Now they were up against one of Florida’s biggest foreclosure law firms: Founded by multimillionaire attorney David J. Stern, it controlled one-fifth of the state’s booming market in foreclosure-related services. Ice had a strong hunch that Stern’s operation was up to something, and that night she found her smoking gun. It involved something called an “assignment of mortgage,” the document that certifies who owns the property and is thus entitled to foreclose on it. Especially these days, the assignment is key evidence in a foreclosure case: With so many loans having been bought, sold, securitized, and traded, establishing who owns the mortgage is hardly a trivial matter. It frequently requires months of sleuthing in order to untangle the web of banks, brokers, and investors, among others. By law, a firm must execute (complete, sign, and notarize) an assignment before attempting to seize somebody’s home. Stern has made a fortune foreclosing on homeowners. He owns a $15 million mansion, four Ferraris, and a 130-foot yacht. But the Ices had uncovered what looked like a pattern, so Tom booked a deposition with Stern’s top deputy, Cheryl Samons, and confronted her with the backdated documents—including two from cases her firm had filed against Ice Legal’s clients. Samons, whose counsel was present, insisted that the filings were just a mistake. She refused to elaborate, so the Ices moved to depose the notaries and other Stern employees whose names were on the evidence. On the eve of those depositions, however, the firm dropped foreclosure proceedings against the Ices’ clients. While the mortgage fiasco has so far cost American homeowners an estimated $7 trillion in lost equity, it has made Stern (no relation to NBA commissioner David J. Stern) fabulously rich. His $15 million, 16,000-square-foot mansion occupies a corner lot in a private island community on the Atlantic Intracoastal Waterway. It is featured on a water-taxi tour of the area’s grandest estates, along with the abodes of Jay Leno and billionaire Blockbuster founder Wayne Huizenga, as well as the former residence of Desi Arnaz and Lucille Ball. (Last year, Stern snapped up his next-door neighbor’s property for $8 million and tore down the house to make way for a tennis court.) Docked outside is Misunderstood, Stern’s 130-foot, jet-propelled Mangusta yacht—a $20 million-plus replacement for his previous 108-foot Mangusta. He also owns four Ferraris, four Porsches, two Mercedes-Benzes, and a Bugatti—a high-end Italian brand with models costing north of $1 million a pop. Andy Kroll is a reporter at Mother Jones. For more of his stories, click here. Email him with tips and insights at akroll (at) motherjones (dot) com. Follow him on Twitter here. David J. Stern, whose law firm helps banks foreclose on homeowners, owns three boats and lives in this $15 million, 16,500-square-foot Fort Lauderdale home with a tennis court. ARE FORECLOSURE MILLS Coercing Buyers for BANK OWNED homes? ARE ALL THE MILLS? 9) Which title companies are the sellers and who do I make out the earnest money deposit to once offer is verbally accepted? ii. Marshall C. Watson, P.A. iii. Smith, Hiatt, & Diaz, P.A. iv. Butler & Hosch, P.A. v. Shapiro & Fishman, P.A. vi. Spear & Hoffman, P.A. vii. Adorno & Yoss, P.A. 10) Can the buyer use their own title company or must they use the title company selected by seller? a. The buyer MUST HOLD ESCROW with Fannie Mae Title Company as stated on MLX. NOW are we unleashing another dimension to this never ending SAGA? We recently found out about WTF!!! DJSP Enterprises, Inc. Announces Agreement to Acquire Timios, Inc., Expand Presence Into 38 States , so is this a way for the Mills to Monopolize on the sales of these properties?? THIS IS FANNIE MAE HOMEPATH PROPERTY.BANK OWNED.ALL OFFERS REQUIRING FINANCING MUST HAVE PREAPPROVAL LETTER. ALL CASH OFFERS REQUIRE PROOF OF FUNDS. THIS PROPERTY IS APPROVED FOR HOMEPATH AND HOMEPATH RENOVATION MORTGAGE FINANCING-AS LITTLE AS 3% DOWN,NO APPRAISAL OR MORTGAGE INSURANCE REQUIRED! ** FOR SHOWING INST PLEASE READ BROKER REMARKS** YOU MUST SUBMIT OFFER USING ATTACHMENT! INVESTORS NOT ELIGIBLE FOR FIRST 15DAYS.CLOSE BY JUNE 30 TO BE ELIGIBLE FOR EXTRA 3.5% SC. EMD: FL DEFAULT LAW GROUP. Does the JUNE 30th Closing Day have any significance?? MAYBE it’s because of this? MERS May NOT Foreclose for Fannie Mae effective 5/1/2010 …I am just trying to make sense of this…Is there a grace period that followed? What “if” the BUYER selects their own Title company? Does this eliminate their chances of ever even being considered as a buyer? Why even bother to state this? Is this a way for the selected Agent/ Broker to find the buyer and discourage other agents or buyers from viewing? Was this at all even necessary to state? Is this verbiage to coerce agents to get a higher commission rather than pass down the incentive of 3.5% towards closing cost “if” under contract by 6/30? Why do investors have to refrain from buying for the first 15 days? Coercion (pronounced /ko???r? ?n/) is the practice of forcing another party to behave in an involuntary manner (whether through action or inaction) by use of threats, intimidation, trickery, or some other form of pressure or force. Such actions are used as leverage, to force the victim to act in the desired way. Coercion may involve the actual infliction of physical pain/injury or psychological harm in order to enhance the credibility of a threat. The threat of further harm may lead to the cooperation or obedience of the person being coerced. Torture is one of the most extreme examples of coercion i.e. severe pain is inflicted until the victim provides the desired information. LENDER PROCESSING SERVICES (LPS) BUYING UP HOMES AT AUCTIONS? Take a look to see if this address is on your documents! BETH COTTRELL step right up …your the next ROBO-SIGNER on STOP FORECLOSURE FRAUD! Folks there is just way too many. Eventually this will all be released. Every Foreclosure/REO/Short Sale out there is virtually like this! The attached documents are almost always the sole “evidence” showing the right of a foreclosing entity/servicer (or their shell National Bank Cover ie: US Bank) to foreclose on an American family’s home, evicting them from the only shelter that may be available to them. Millions of examples of this and other “robo-signers” available upon request. Of note, please see the last attachment; her deposition where she denies any “personal knowledge” or even a cursory glance at the facts of the case. ANOTHER POINT IS THEY seem to be different signatures. Some have loops and some do not. Another area that should be investigated in the foreclosure mill process is the “process serving” Mills such as ProVest LLC. I worked at ProVest for 7 months a few years ago, as jobs are scarce. There were some issues there of some of the servers just “drop serving” the summons, (just leaving at the door and saying they gave it directly) or Sewer serves, (saying it was served and they never even left at the door). A few borrowers obtained legal counsel and executed their rights, as they were never properly served, but there are probably more borrowers unaware they have been “had”. If Improperly served, the court dates cannot be set. Due to ProVest’s aggressive style, and high volume of work, it is possible many servers, not direct employees, were forced to do the serves this way due to the volume and ProVest’s unrealistic expectations. They wanted a serve within 10 days of it being filed at the court house. As an employee, server or not, if you did not meet their outrageous timeframes it provoked what I call “public floggings” of employees. Not a nice place to work. So, if you want more dirt for your compaign, here it is.. Check to see if the borrowers were properly served. DIRECTIONS: How To Use FLORIDA DEFAULT LAW GROUP (FDLG) in MIAMI. (1)WASH AND (2)RINSE …Still SLOPPY?…REPEAT 1,2!! 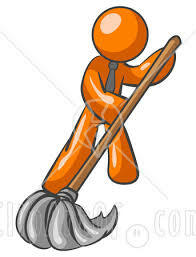 End with MORTGAGE WIPED CLEANED! Don’t make a fool of Miami-Dade Circuit Court Judge Jennifer Bailey! She sent the lenders a very powerful message! Take a very good look at the miami ruling! HSBC never posted the bond and proceeded to foreclose, violating a specific court order. Eslava’a attorney Shaleen Khan, sought to overturn the sale based on HSBC’s violation. Outcome – let’s just say that Judge Bailey wiped the floors with William Huffman, who represented HSBC through Florida Default Law Group. Almost holding Huffman in contempt, not only did Judge Bailey overturn the foreclosure, she wiped out Enslava’s entire $207,000 mortgage. Bailey blasted Huffman saying the order she expects performance not apologies and complained about the general “chaos and disorganization” of lenders and their lawyers. Judge Bailey states ” FLORIDA DEFAULT can cut whatever deal it wants to cut with them, but at the end of the day the bank is responsible for this! Today, a Key West, Florida Circuit Court Judge dismissed a foreclosure action filed by Florida Default Law Group (FDLG), which was representing Bank of New York as the alleged “Trustee” of a Bear Stearns securitized mortgage loan trust. The borrower, who was represented by FDN’s Jeff Barnes, Esq., had served discovery on FDLG in late February, 2009. FDLG filed one of its form “open ended” Motions for Extension of Time to respond to the discovery (that being with no date certain for the response). FDLG failed to respond to Mr. Barnes’ good-faith request as to how much time FDLG needed to respond to the borrower’s discovery. The first “response” from FDLG came over 13 months later when FDLG objected to practically everything which Mr. Barnes asked for. FDLG also failed to comply with the Court’s Pretrial Order, and had a history in the case of violating court orders and actually paid sanctions on prior Motion filed by Mr. Barnes. The Court dismissed the case and conditioned any re-filing on full compliance with Mr. Barnes’ discovery and the Court’s Orders. Florida Default Law Group, a huge foreclosure law firm has angered judges with its practices. TAMPA – The Florida Attorney General’s Office is investigating a Tampa-based foreclosure law firm that has become one of the state’s largest foreclosure mills. On the agency’s Web site, the attorney general showed it has an “active public consumer-related investigation” into Florida Default Law Group. The agency notes that it is a civil investigation, rather than a criminal one, and the fact that is has an investigation isn’t proof of any violation of law. Without going into much detail, the attorney general’s Web site says Florida Default Law Group, “Appears to be fabricating and/or presenting false and misleading documents in foreclosure cases. Attempts to reach the Attorney General’s Office and Michael Echevarria, the head of Florida Default Law Group, were unsuccessful Thursday. Based in a business park just off the Veteran’s Expressway, Florida Default Law Group files hundreds of foreclosure lawsuits alone in Hillsborough County on behalf of banks and mortgage servicing companies. The Tribune profiled Florida Default Law Group in January. According to the Tribune’s review of 1,994 circuit court records, the firm filed initial legal documents for 323 foreclosure lawsuits in October. That was second only to the Law Offices of David J. Stern, a Broward County-based foreclosure firm that filed 352 foreclosure cases in October. Florida Default Law Group operates in numerous counties in Florida, but it’s not clear how many lawsuits it files outside of Hillsborough County. Reporter Michael Sasso can be reached at (813) 259-7865. These are precarious times for lawyers in the business of filing foreclosure cases for banks. This is particularly true in one of the epicenters of the foreclosure crisis, Florida. As we’ve noted before, the feds in Jacksonville recently started a criminal investigation of a company that is a top provider of the documentation used by banks in the foreclosure process. And a state-court judge ruled that a bank submitted a “fraudulent” document in support of its foreclosure case. That document was prepared by a local law firm. 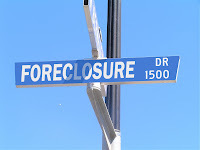 For more Law Blog background on the foreclosure mess in our nation’s courts, this post will help. The news today: the Florida Attorney General’s office said it has launched a civil investigation of Florida Default Law Group, based in Tampa, which is one of the largest so-called foreclosure-mill law firms in the state. The issue: judges are increasingly running into situations in which banks are claiming ownership of properties they actually don’t own. Some of them end up chewing out the lawyers representing the banks. The AG’s office said Florida Default Law Group appears to work closely with Lender Processing Services — the company we referenced earlier that is being investigated by the Justice Department. LPS processes and sometimes produces documents needed by banks to prove they own the mortgages. LPS often works with local lawyers who litigate the foreclosure cases in court. Sometimes those same law firms produce documents that are required to prove ownership. We’ve reached out to Florida Default Law Group and LPS and will let you know if we hear back.